GEORGETOWN — Progreso didn’t look overmatched against undefeated Palestine as the teams clashed at the UIL Class 4A state tournament for the second time in three seasons. 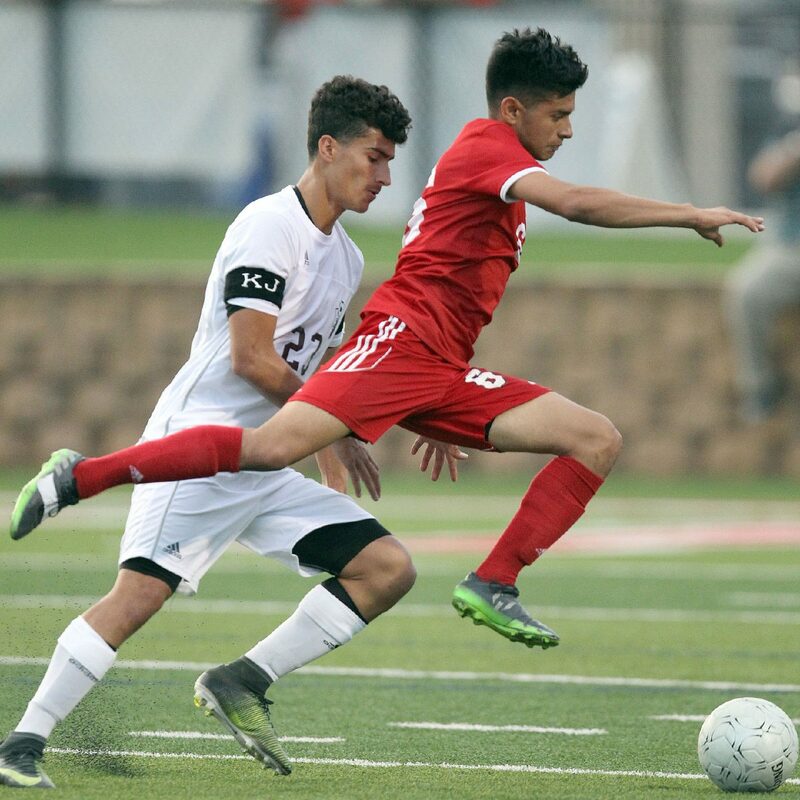 The Red Ants even managed a goal, off the head of midfielder Hugo Hinojosa, against a Wildcats team that had shut them out into penalty kicks during the 2016 state championship match. Still, the tally was too little, too late, as time expired and Palestine ended Progreso’s season by a 2-1 score Wednesday at Birkelbach Field in Georgetown. Jimenez said he was proud of his team’s effort, even through the disappointment of defeat. 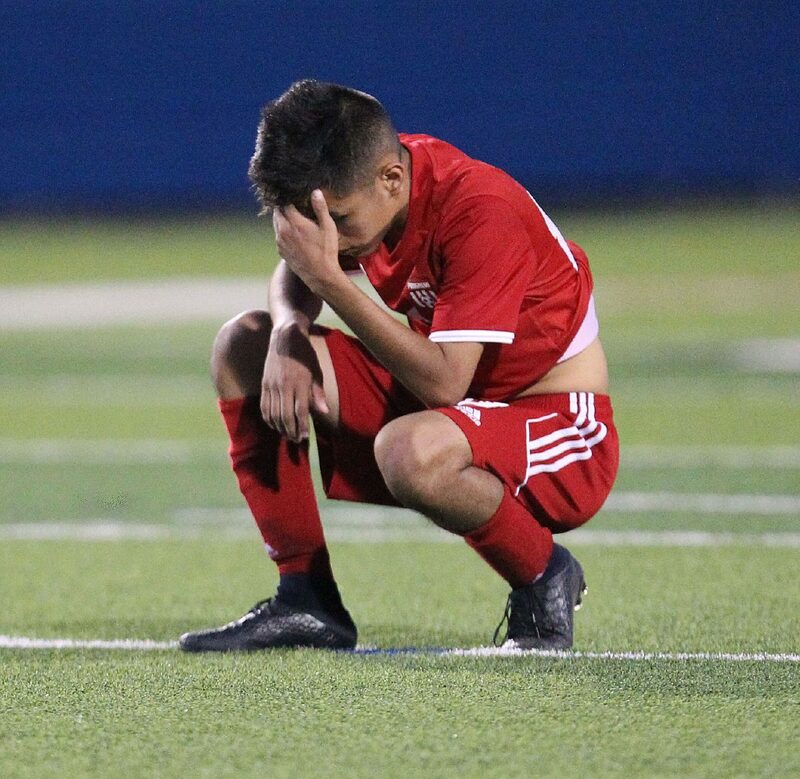 Progreso's Fabrizzio Gonzalez bows his head after their loss to Palestine in the 4A semifinals on Wednesday April, 18,2018 at Birkelbach Field in Georgetown, Texas. Progreso's Anthony Vasquez reacts during a Class 4A state semifinal against Palestine on Wednesday at Birkelbach Field in Georgetown. Palestine won 2-1. Progreso's Jacob Martinez is defended by Palestine Chris Giron during the 2nd half of play in the 4A Semi-finals at Birkelbach Field Wednesday April, 18,2018 in Georgetown, Texas. Progreso's Hugo Gujardo chases down a bal against Palestine Daniel Sanchez during the 2nd half of play in the 4A Semi-finals at Birkelbach Field Wednesday April, 18,2018 in Georgetown, Texas. 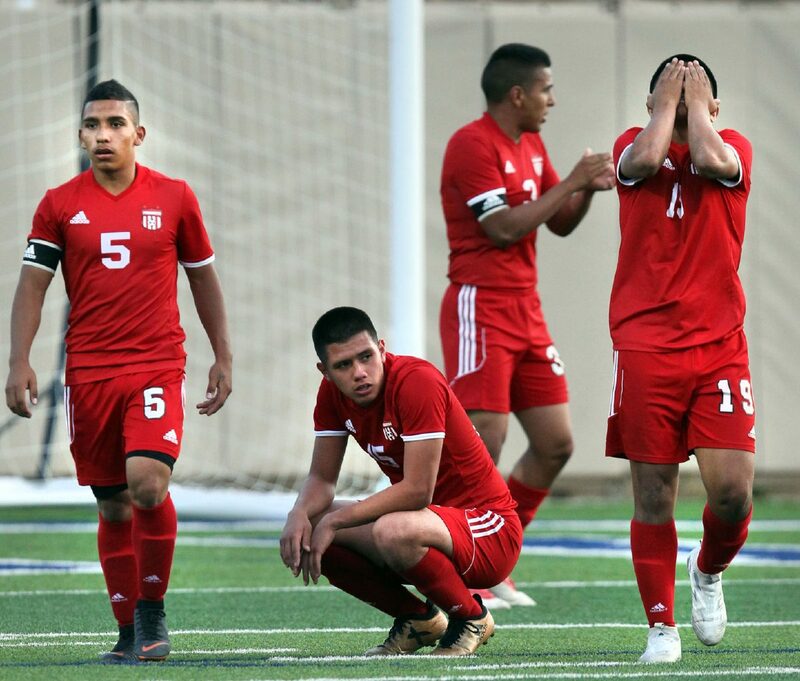 Progreso's Miguel Puentes, Edgar Melendez, and Michael Vasquez are stunned after a score by Palestine during the 2nd half of play in the 4A Semi-finals at Birkelbach Field Wednesday April, 18,2018 in Georgetown, Texas. Progreso's JOse Trevino and Oscar Munoz defend Palestine Abrahan Nunez during the 2nd half of play in the 4A Semi-finals at Birkelbach Field Wednesday April, 18,2018 in Georgetown, Texas. 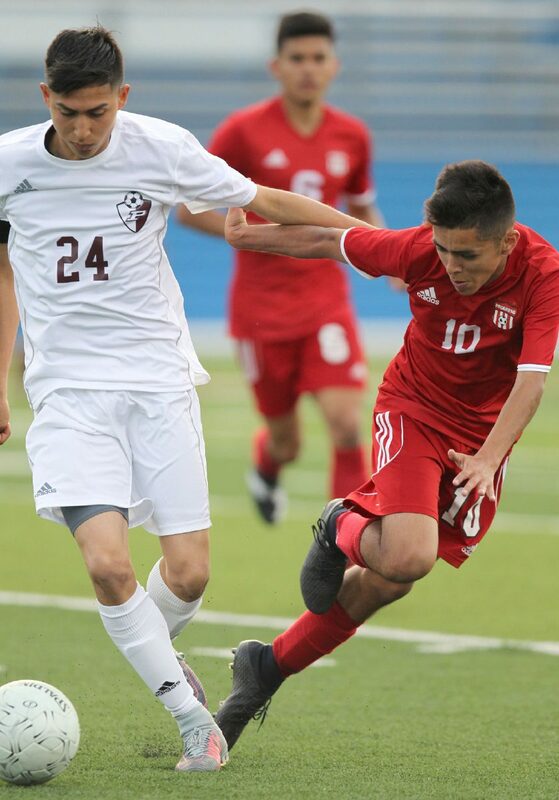 Progreso's Fabrizzio Gonzalez battles Palestine Daniel Sanchez during the 1st half of play in the 4A Semi-finals at Birkelbach Field Wednesday April, 18,2018 in Georgetown, Texas. Progreso's Anthony Vasquez with a header against Palestine Javier Leonor during the 1st half of play in the Boys 4A Semi-finals at Birkelbach Field Wednesday, April, 18,2018 in Georgetown, Texas. 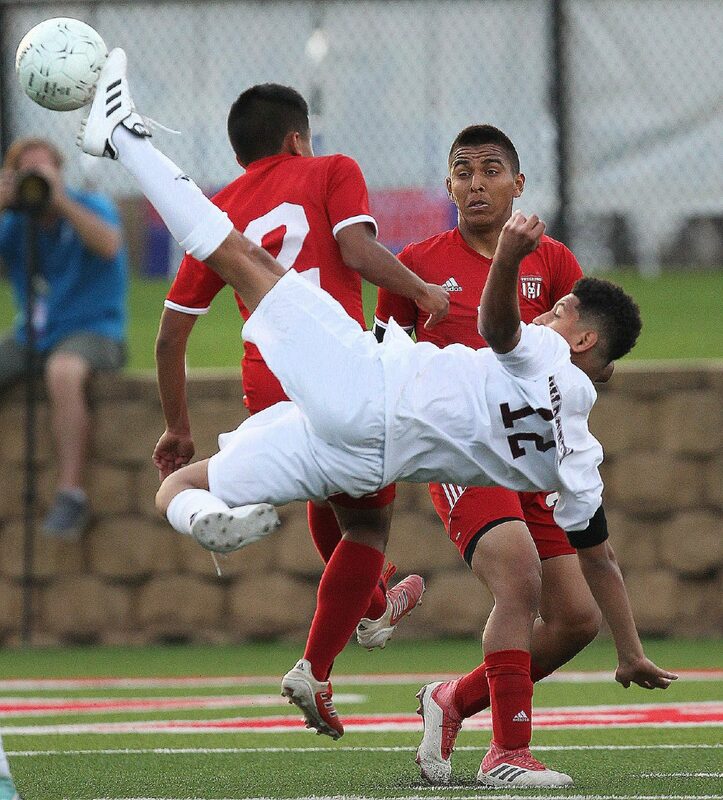 Progreso's Fabrizzio Gonzalez is taken down by Palestine Javier Leonor during the 1st half of play in the 4A Semi-finals at Birkelbach Field Wednesday April, 18,2018 in Georgetown, Texas. The teams went into the halftime break scoreless, tangled in the deadlock the Red Ants expected against the defense-oriented Wildcats. Progreso’s defenders, led by the senior core of Anthony Vasquez, Hugo Guajardo and Oscar Muñoz, contained most of the speedy wingers Palestine tried to utilize in open space. The Red Ants even held a 3-2 edge in shots after 40 minutes of play. Vasquez was one of five or six Red Ants players who paused to gather his thoughts following his final high school game. Jimenez said he knew that the game’s first goal would be the most important. Just more than seven minutes into the second half, Palestine’s speed turned to production. Javier Leonor made the Red Ants pay with his wheels. 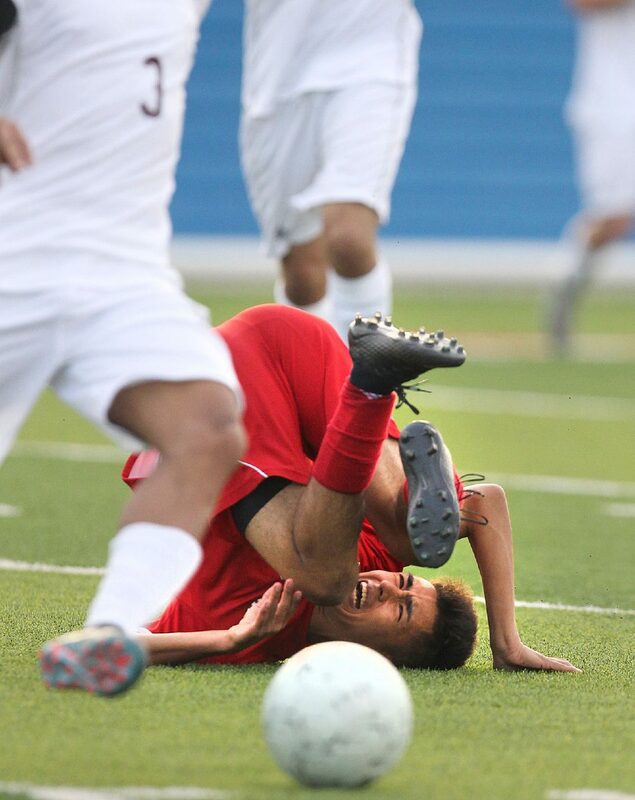 The junior forward dashed across the field and at full sprint wired a shot across his body and past the dive of junior goalie Arturo Gallegos. The first goal changed the outlook of the game and allowed the Wildcats to play the defensive style that they execute so well. 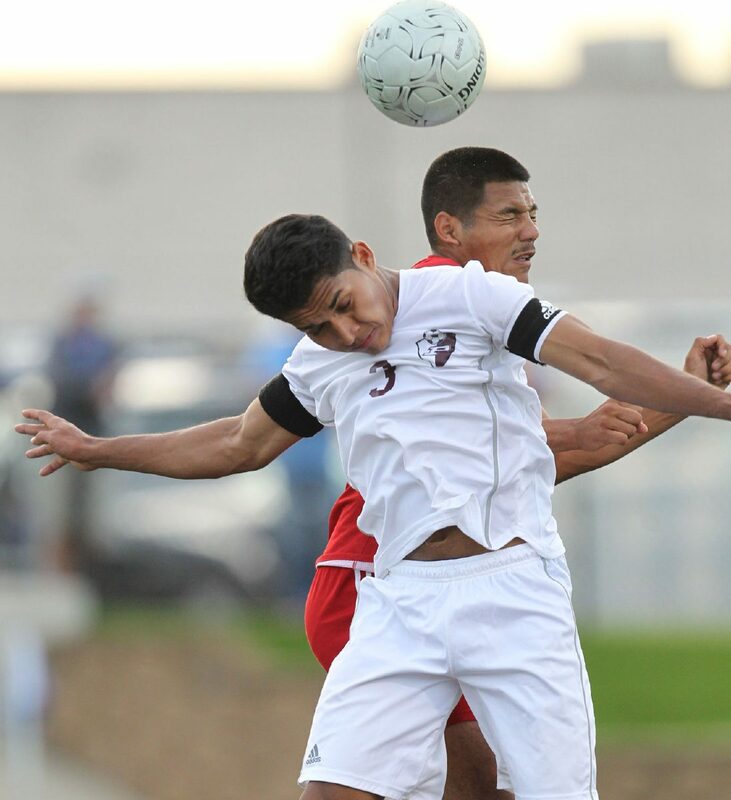 Palestine coach John Absalom was complimentary of more than just Progreso’s game on the field. He recalled a kind gesture from two years ago, even after the Wildcats defeated the Red Ants for the 2016 championship. Absalom said Wednesday’s second goal for his group was as good as gold because of the Wildcats’ ability to defend. The score came on a header from Daniel Sanchez, a substitute who had just entered the field at the previous stoppage of play. Progreso’s lone score came in the game’s final five minutes, as the Red Ants were sending most of their players forward. 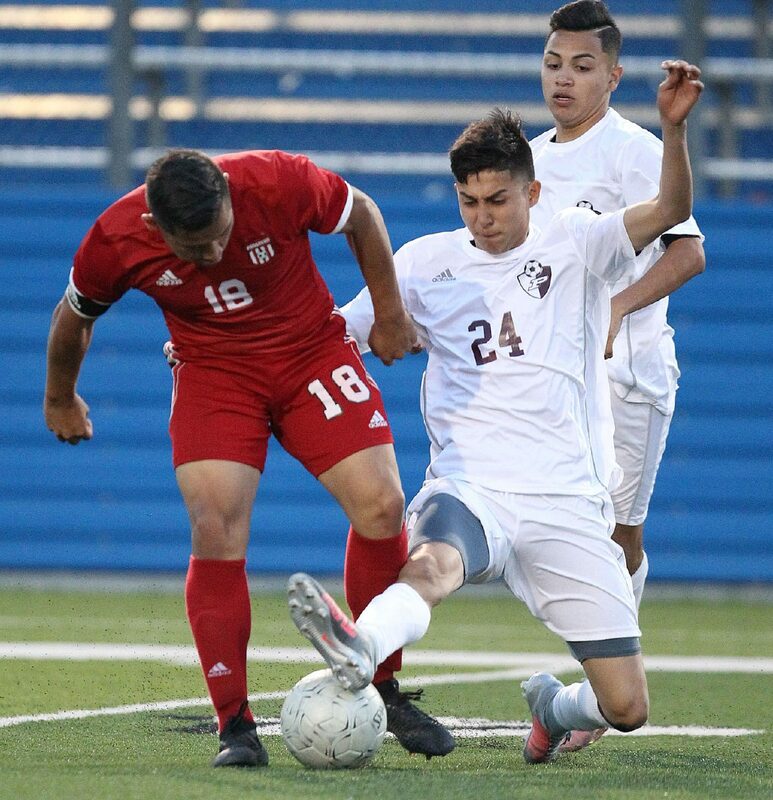 Omar Anguiano centered the ball to a wide-open Hinojosa, who scored easily and ran to scoop the ball out of the net in hopes of restarting play for an equalizer. Progreso is the only Valley soccer program to make three consecutive trips to the state tournament.